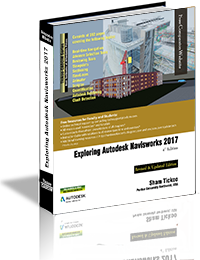 Exploring Autodesk Navisworks 2019 is a comprehensive book that has been written to cater to the needs of the students and the professionals who are involved in the AEC profession. 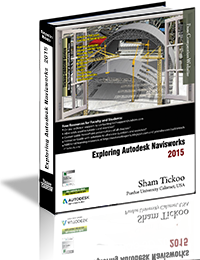 In Navisworks 2019 book, the author has emphasized on various hands on tools for real-time navigation, reviewing models, creating 4D and 5D simulation, quantifying various elements, performing clash detection, rendering, creating animation, and advanced tools for selection through tutorials and exercises. In this book, along with the main text, the chapters have been punctuated with tips and notes to give additional information on the concept, thereby enabling you to create your own innovative projects. Additionally, this textbook contains case studies of two real world BIM projects undertaken by The BIM Engineers. 404 pages of heavily illustrated text. 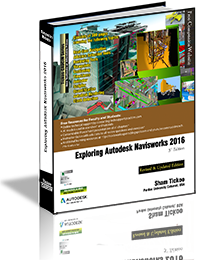 Covers detailed description of the tools of Navisworks 2019. Explains the concepts using real-world projects and examples focusing on industry experience. 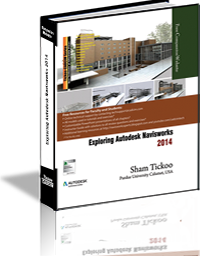 Covers advanced functions such as creating visualizations with Autodesk Rendering. Includes an exercise on creating car animation using Animator and Scripter tool. Includes two case studies from projects of The BIM Engineers. Provides step-by-step explanation that guides the users through the learning process. 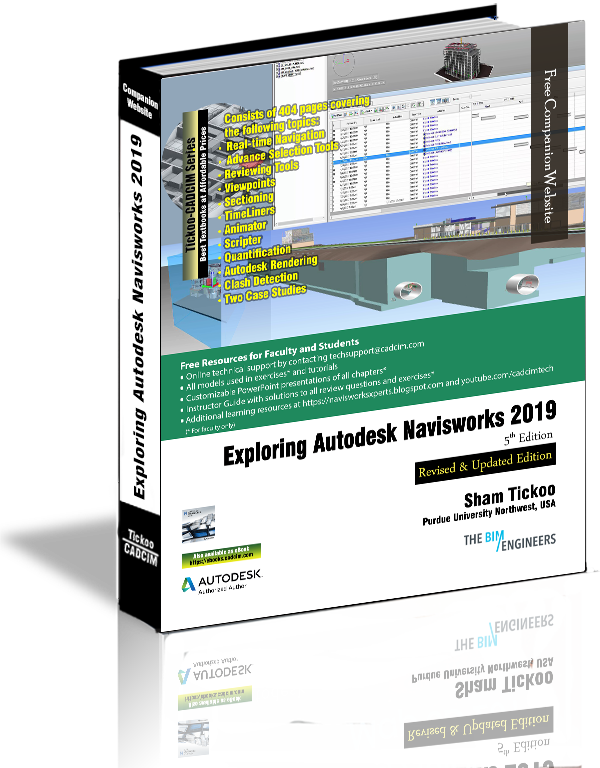 Effectively communicates the utility of Navisworks 2019. Self-Evaluation Test and Review Questions at the end of chapters for reviewing the concepts learned in the chapters.